Congratulations to all the Elementary School Battle of the Books teams! Friendship Elem. is DCS Battle of the Books Champion! Friendship Elem. will compete in the regional competition! Davis-Townsend Elem. and Fair Grove Elem. tied for 2nd place and Reeds Elem. was awarded 3rd place. Read more and see photo gallery by clicking on the above headline. 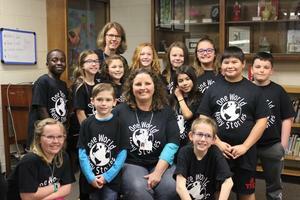 Congratulations to all the Elementary School Battle of the Books teams! Friendship Elementary School is Davidson County Schools' Battle of the Books Champion! 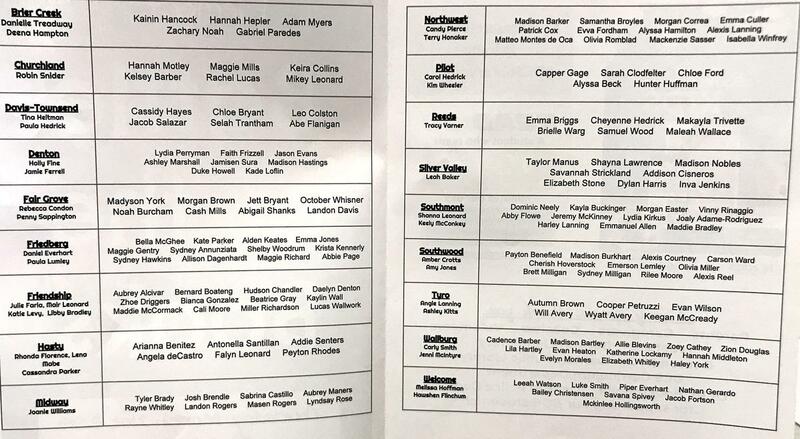 Friendship will now represent DCS in the regional competition! Davis-Townsend Elem. and Fair Grove Elem. tied for 2nd place and Reeds Elem. took 3rd place. 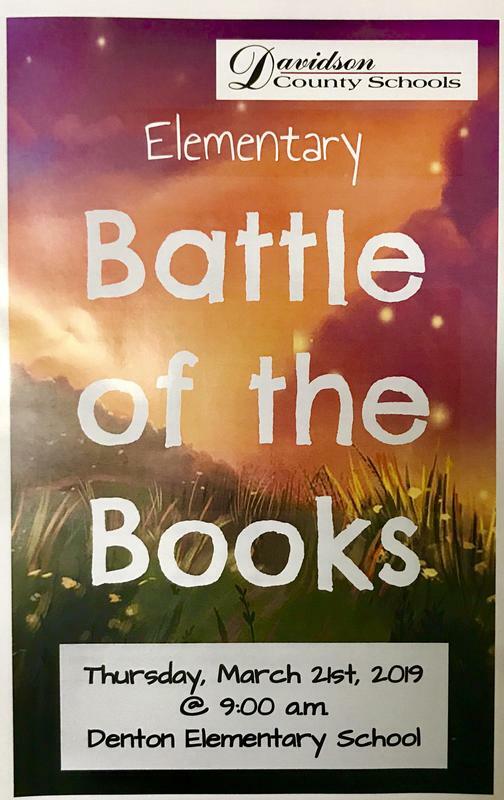 NC School Library Media Association sponsors Battle of the Books for Elementary, Middle, and High School competitions. The teams read a total of 15 books to prepare for the competition. "Readers are leaders in Davidson County! 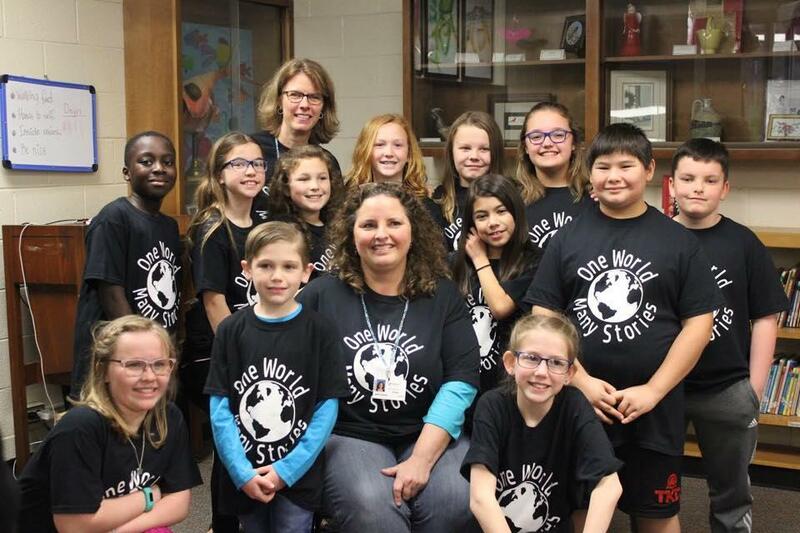 Thursday, March 21st, all 18 elementary schools met at Denton Elementary to compete in the annual Battle of the Books Competition. Students read books from the official list of titles and answered questions with matching titles and authors. Each team competed 6 times each for a total of 54 rounds. This year's competition focused on community service. Teams collected pet food and made hundreds of dog toys out of old t-shirts to distribute to local civic organizations in the "makerspace" sponsored by the Davidson County Public Library Bookmobile. Ron Bellini from Davidson County Senior Services also shared that helps to feed the pets of our senior Meals on Wheels participants. This program is by donation only, and Mr. Bellini thanked students for their contributions. Students were excited to receive a personalized video message from BOB author, Barbara O'Connor. 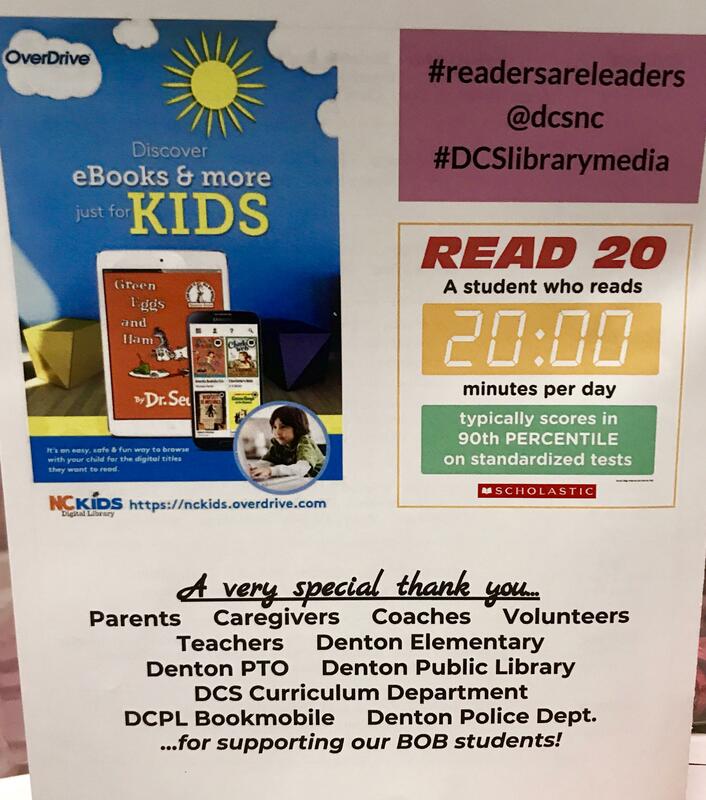 When O'Connor announced that DCS had purchased each BOB student an autographed copy of her book WISH, the students went WILD! First place went to first year SLMC Julie Faria and her team from Friendship Elementary! 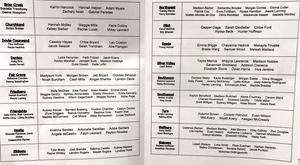 Tied for 2nd place was Davis-Townsend (Tina Heitman) and Fair Grove (Rebecca Condon). Reeds Elementary (Tracy Varner) came in third. An estimated 45o people were in attendance. Many students and parents remarked about how much fun the day was. A special thanks goes out to Dr. Kelsey Greer and staff from Denton Elementary for hosting our event and to the Denton PTO for providing concessions for sale for our more than 200 parents and family members. This event also could not have been possible without the support of many DCS staff members and community volunteers."